Mangaluru, Aug 10 2017: Treated water at Kurnadu liquid waste management structure in Bantwal taluk may soon irrigate agricultural lands. Zilla Panchayat deputy secretary N R Umesh said that the Balepuni Gram Panchayat had objected to letting treated water flow into a water body when the additional work on the sewage treatment plant (STP) was started at an estimated cost of Rs 8 lakh under the Mahatma Gandhi National Rural Employment Guarantee Scheme (MGNREGS). As a result, the work on the treatment unit was halted. On July 25, Umesh, who is also nodal officer, convened a meeting with the representatives of the region and decided to use the treated water from the plant to irrigate farmland. “Even farmers have sought treated water from the treatment plant as and when they turned operational. The treated water would be made to flow into the farm ponds constructed in farmers land, from where the farmers can lift the water for irrigation purpose. Using the subsidy from the government under the Krishi Bhagya scheme, the farm ponds can be constructed on farmers fields,” the deputy secretary said. Work on the STP unit is ready to be started. The chambers have to be constructed and pipelines needs to be laid. 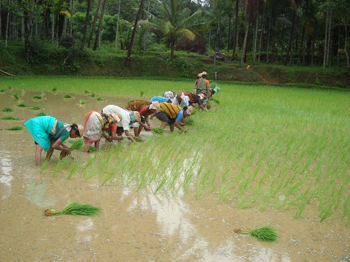 Zilla Panchayat CEO Dr M R Ravi said that such initiative of using treated water for farmland use needs to be promoted. This will also put an end to the constant clash between gram panchayats over the passage of liquid waste. “The proposal had more benefits than one. Treated water could be used for agricultural purposes and water for irrigation was available round-the-year. If the farmers were to use the treated sewage, their dependence on water from other sources would also come down,” said the officer. Umesh said that land has been identified for the construction of a solid waste management (SWM) unit for the scientific disposal of garbage at the Someshwara Gram Panchayat jurisdiction. “The identified land has also received an NoC from the Karnataka State Pollution Control Board and the Department of Health and Family Welfare. Once the land is transferred from the Revenue Department to the gram panchayat, the work on the unit will be initiated. A sum of Rs 20 lakh has already been sanctioned for the purpose,” said the officer. About 80% of the work on the liquid treatment plant at Kinnigoli is complete. The work on the SWM unit at Rayi could not commence owing to the objections by the residents of Arala. The proposal of SWM units at Mani, Kaukradi and Kolthige is awaiting technical approval from higher authorities. The estimate for SWM units at Kuvettu and Aladangady in Belthangady is being prepared. We have to educate the younger generations, working in fields..They will realize the importance. It is beautiful to see the fields during the harvest season.